The Asari come from the world of Thessia, their home land. Because the world was right in element zero, many of the species that lived on Thessia exhibited biotic properties. Although they have other lands, many of the Asari particularly the Matrons and the Matriarchs prefer settling in their homeland. However, the true reason as to why the Asari rose as a race was due to the intervention of the Protheans. When they discovered the Asari, the Protheans created a benevolent figure. This benevolent figure is the one that the Asari would refer to as Athame. They believed that Athame granted them the gifts of wisdom along with her two fellow goddesses: Lucen and Janiri. After the Protheans departed, the Asari built a temple dedicated to Athame. But in reality, inside the statue of Athame was a beacon. But the Protheans left a powerful device known as the Vendetta or commonly known as the Prothean VI. This beacon became the reason why their race became extremely advanced in technology and other things. Because of this, the Beacon became a closely guarded secret that only the government knew. The Asari have a feminine appearance. However, this race holds no specific gender. Any Asari can mate with another Asari. They are also humanoid in appearance similar to the Kett, such as having five fingers on each hand. However, they are able to stand completely upright in comparison to the Angara, Turian, and the Quarians. 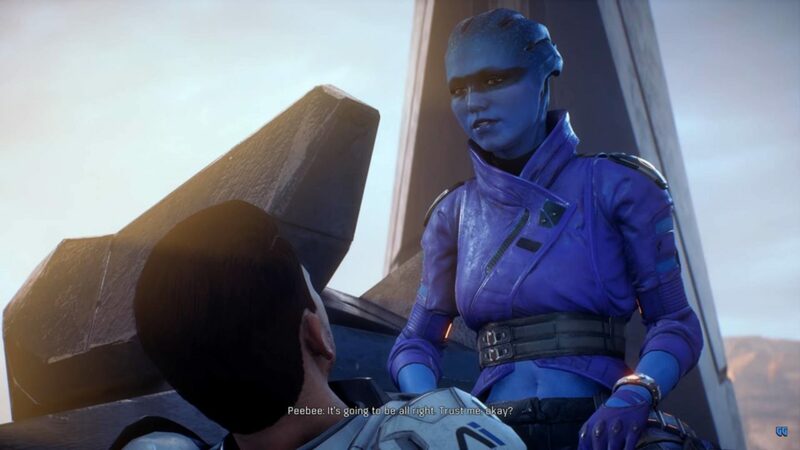 A typical Asari has blue to purple skin. But there are some that can come up with a teal complexion. However, one way to distinguish them is the facial markings. Some of them have specific facial markings that allow others to distinguish them from one another. Instead of hair, Asari have semi-flexible, cartilage-based scalp crests that grow into shapes. The structures are rigid and don’t flop around. The Asari also have navels and breasts that grow with age. Along with this, they have a strong cellular regenerative system. While they do’t heal as fast as other species, they can reach 1000 years of age. The only one who can reach their age is a Krogan. When slashed, the blood that spills from an Asari is purple. Maiden – Maidens are similar to teenagers. They enjoy the thought of exploring and experiencing new things. Because of their restlessness and curiosity, majority of them try a variety of things. Some of those in the Maiden stage try dancing in bars or serve as mercenaries for a time. Matron – This stage occurs at the age 350. However, this stage can occur if the individual melds a lot of times. Matriarch – These are the ones who serve in the council. Many of them do not have children and thus prefer public service. They impart wisdom and knowledge to the younger ones. The military and culture of the Asari are different from most. While the Kett, the Turian, and the Krogan depend on militarization, these aliens prefer a more on mercenary-like work. While they are able to wage war, they prioritze more the advancement of their civilization. Thus, many of the Asari often find themselves working with the Council. They don’t appear to be discriminatory towards other races. It’s long seen in their history that they welcome other races such as the Protheans and the Salarians. Another thing to take note of is how they mate. They deem purebloods as a bane to society. In fact, they would prefer to mate with other species other than their own. This is because they fear a genetic condition known as Ardat-Yakshi. This genetic condition only appears if two Asari mate together. And when this happens, their melding powers become increasingly powerful. Any attempt to meld from their side may overwhelm their mate’s mind. When this happens, their mate either ends up catatonic or dead. When a pureblood is discovered, they are given two choices: isolation or execution. This is because the genetic condition of Ardat-Yakshi not only amplifies their powers but, their desires as well. The more the pureblood melds, the stronger their urge to meld and mate is. Especially, when their melding succeeds. They can become increasingly violent and their powers suddenly increase. This is seen from Morinth as she is able to match her mother, Samara despite the five hundred year gap between them. Despite claiming that they have no gender, individuals are referred to as “she” and “her”. The offspring are referred to as “daughters”. Many of their job titles and social classes also carry femininity such as “huntress”, “matriarch”.